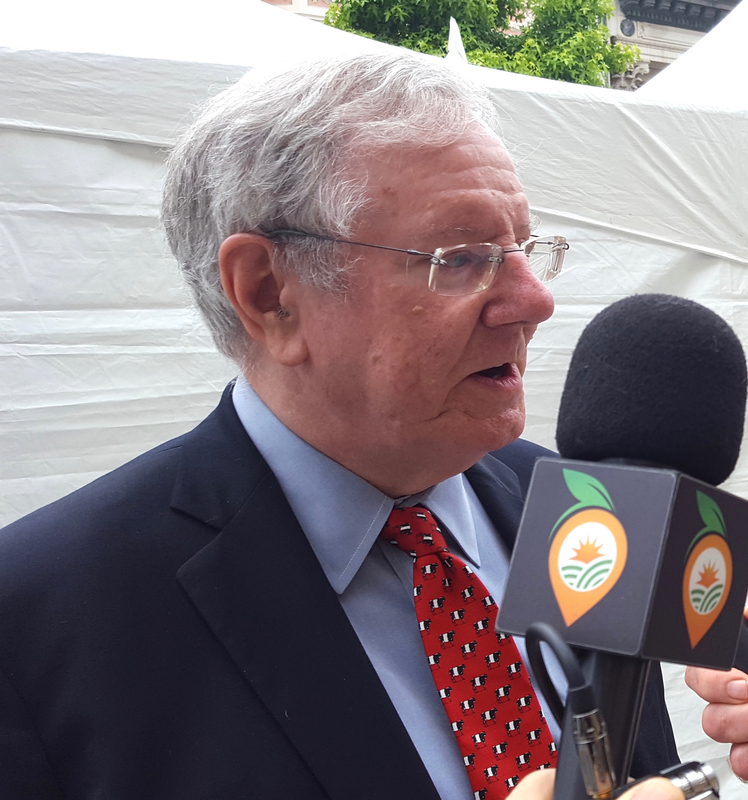 Steve Forbes of Forbes Media was in Salinas recently at the Forbes AgTech Summit. California Ag Today had an exclusive interview with him on ag tech and California farming in general. Forbes said that the only difference between the Stone Age and now is information. “We have more knowledge, and knowledge comes from experimentation, constant discovery, which agriculture's been doing for well over a thousand years,” he said. “That pace in agriculture is increasing today, and there's no reason why, if we don't do silly things, even though the population will grow 2 billion in the next three decades, the world will not only have sufficient food, but more abundant and healthier food than we can even imagine today." And Forbes is aware that the problems facing farmers in California are mostly due to unnecessary regulations. “Human ingenuity will do it. We have the ongoing example of Israel, a country in the desert with very little rainfall, but they don't have a water crisis because they have brought desalination plants online in only a few years, instead of decades, which occurs in California , and at a fraction of the cost that you would find in this state, because of unnecessary obstacles,” Forbes said. "Farmers here do conserve with drip technology, but farmers cannot do everything regarding the availability of water." And Forbes gave a stunning statistic, revealing that satellite images show 14% more green space on the planet. Regarding the thought that there is two much CO2 , which is causing damage to the planet? “Well, thankfully the models haven't been as dire as people thought 10 or 20 years ago, but it's a fact that CO2 is a stimulant to green vegetation. It allows plants to use water more efficiently, and that's why in greenhouses they will artificially increase CO2 levels to increase tomato production, other kinds of vegetables," Forbes said. “It's amazing, so maybe in 100 years it won't be good but right now CO2 is doing us more good than harm." And while there are people that are experimenting with micro-farms and rooftop farms - small scale farming - and Forbes said that some of these experiments may work, he doesn't think it's either/or. “I think what we see with tech, is that you can have big and small. One doesn't preclude the other. And again you have the experimentation and [you] see what might have possibilities and people have different tastes, so you might not have a mass market, but there might be a market out there that might make it viable." “Just look at what's unfolding, in terms of high tech already being wedded to agriculture, and the growing experimentation and people's demands on how foods can be grown. It’s stimulating the human imagination, and that's where progress comes from. It’s the mind figuring out how can we do this,” said. Forbes explained why agriculture is high on his list of interest. “It’s simple: Without food, nothing else is possible. and what we're seeing now is that we just don't need to produce necessities. Human beings being what we are, we want more variety, we want more different kinds, we want to know how it is grown, we want more instant delivery, and so all of this is stimulating." “It's like the Model T, was once great in its time a hundred years ago - the Tin Lizzie - but people wanted more than just a contraption to get from one place to another. So look at all the vehicles and the high tech you have in a vehicle today. It’s the same thing with agriculture,” Forbes said.